Standardized aluminium cylinders developed by the American Association of Cereal Chemists (AACC) for the measurement of breadcrumb and other bakery products. 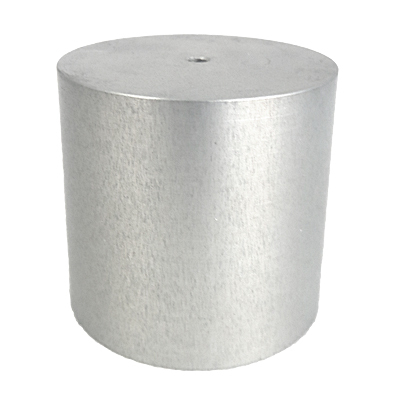 These compression probes have smooth radiused edges to their contact faces to avoid penetrating the surface of the test sample. The dimensions of this probe also makes it a useful general purpose accessory for performing back extrusion tests on semi-solids in their own containers. Firmness of bakery products, cakes, loaves as an indicator of staleness. 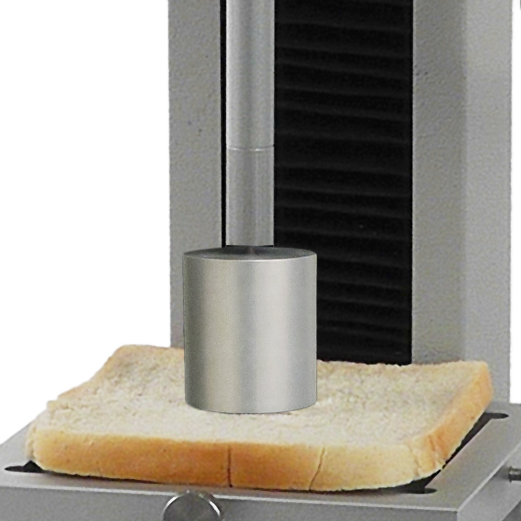 Staling of white pan bread (AACCI Method 74-09.01). Back extrusion of semi-solids: yougurts, creams. 40mm high with radius edge to test surface.